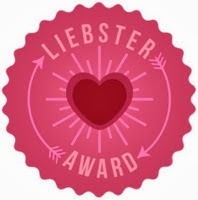 I was very kindly nominated for the Liebster Award which is a sort of tag going around the blogging world which is helping new bloggers, with less than 200 followers, have the chance to get noticed! All you have to do is answer the 11 questions the person that nominated gave you, tag 11 more bloggers and give them 11 new questions to answer. Thank you so much for nominating me Amy from http://amydollll.blogspot.co.uk/, I am so grateful- I never expected to have 5 followers within my first 3 days of starting my blog, let alone being nominated for an award and reaching 30 followers! 1) What’s your favourite beauty product at the moment? Definitely my Maybelline the Falsies Mascara. I can’t live without it! It’s transformed the way my eyelashes look so it has to be my current favourite beauty product because I don’t go a day without wearing it! Definitely Winter. I love dressing up all snuggly in oversized woolly jumpers and big coats with a hat and scarf and chunky boots. I think it’s the best season for accessories, and definitely has to be my favourite season of the year for clothing. Make-up wise was the Maybelline Baby Skin after seeing the hype over YouTube and blogs (another ‘Blogging made me do it’ product haha!) I’m still trying it out and haven't made my final verdict it on it, but I will gladly do a review anytime soon! Hmmm, so difficult!! I have a wide variety of products that I switch between on a regular basis. But some products that I use most days and always come back to have to be Maybelline the Falsies Mascara (again); Mac's eye shadow in Croquette ( I use it to fill in my eyebrows, contour with and blend eye shadow in the crease! ); Mac Studio Sculpt Foundation ( If I had foundation I could double it up and use it as a concealer ;-)); Natural Collection Blush and Maybelline Baby Lips in Peach Kiss. Wow that was so hard!! I have to say I don’t read magazines all of the time but when I do I love Elle and then when I’m feeling really granny I love Take A Break haha (how embarrassing)!- I just love learning about other people’s lives (I’m so nosey!) and love the cross words and Sudoku! If I could be anything in the world, I would just love to be a Police Officer or a detective! I love watching all the crime dramas and I watch all the old series of The Bill religiously (is that weird?). Ahhh this is hard! I don’t watch loads of films but I love Taken (and Taken 2) but I am literally obsessed with Harry Potter!! I watch one of the films near enough every day and neverrrr get bored! But then I couldn’t just pick one of the films, so I can I just say all the Harry Potters… or is that cheating? It really depends! If you mean just make-up then on a school day 10 minutes, but on a weekend I like to spend a bit longer so maybe half an hour. But in total with hair, getting dressed, shower and breakfast etc. then it could be hours depending on the situation! I love Victoria from Inthefrow. Her blog is so versatile, she’s beautifullll and I love her videos as well! But I love so many! I always find this question so difficult! But I’d probably say bubbly, clumsy, sociable. 1. If you were stranded on a desert island and you could only take one beauty product, what would it be? 2. What is your favourite flavour of sweet? 3. If you could marry one celebrity, who would it be? 4. Would you rather wear the same clothes for 10 years, or the never be able to change your make-up for 10 years? 6. Are you a nail biter? 7. Are you a lip gloss or a lipstick person? 8. Do you like ketchup? 9. What did you last eat? 10. What make up products are you wearing right now? 11. Whats your least favourite make-up item that you own and why? Hope you liked this post, See you soon!